Blinking is like breathing; we do it without even thinking. Closing our eyes every few seconds keeps them feeling comfortable and protects them from irritants. Can you imagine not being able to blink? That was reality for one special kitty named Cleta. 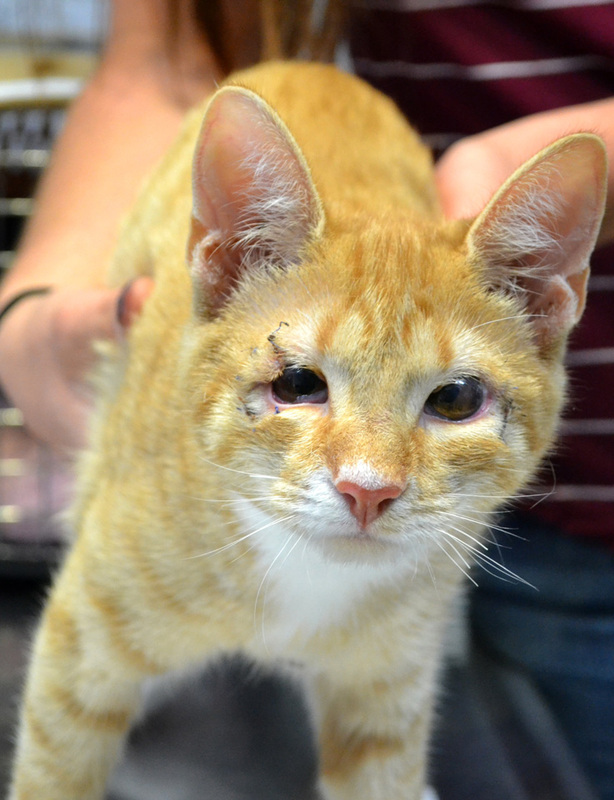 Cleta was born with eyelid agenesis, a condition sometimes found in cats where the eyelids don’t fully develop. She was rescued by one of our transfer partners in Los Angeles County. 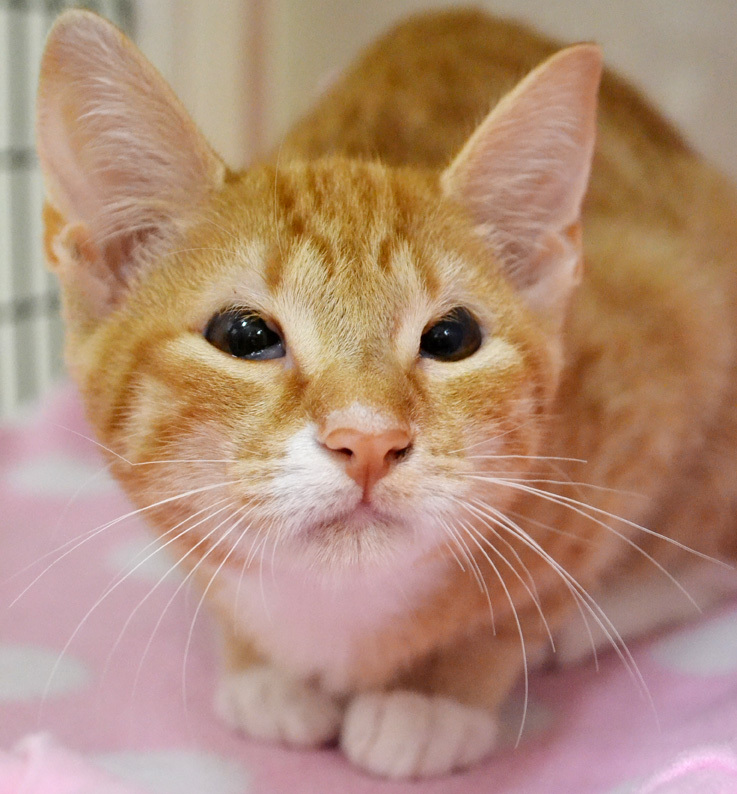 The orange tabby kitten was so sweet and curious, but her eyes were constantly being irritated by the fur around them. 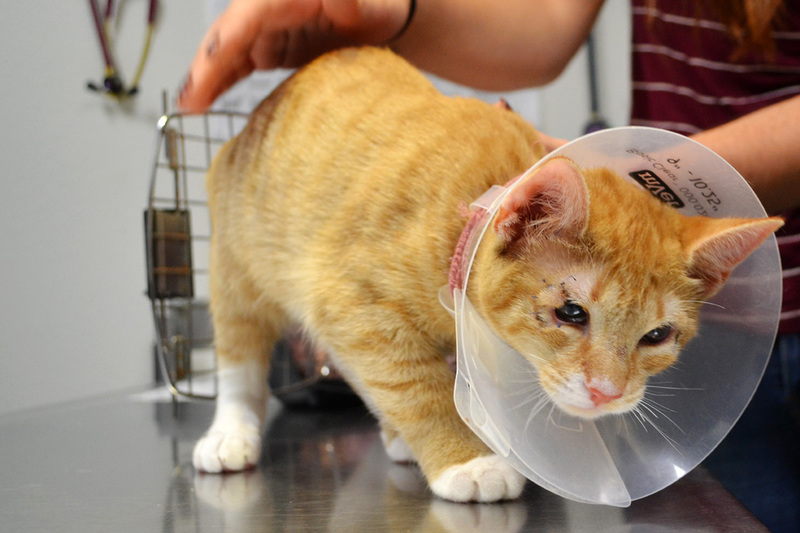 In order for Cleta to live a happy, healthy life, she required expensive reconstructive surgery with a lengthy recovery. The rescue organization didn’t have the resources to provide that level of care, so they contacted Helen Woodward Animal Center. 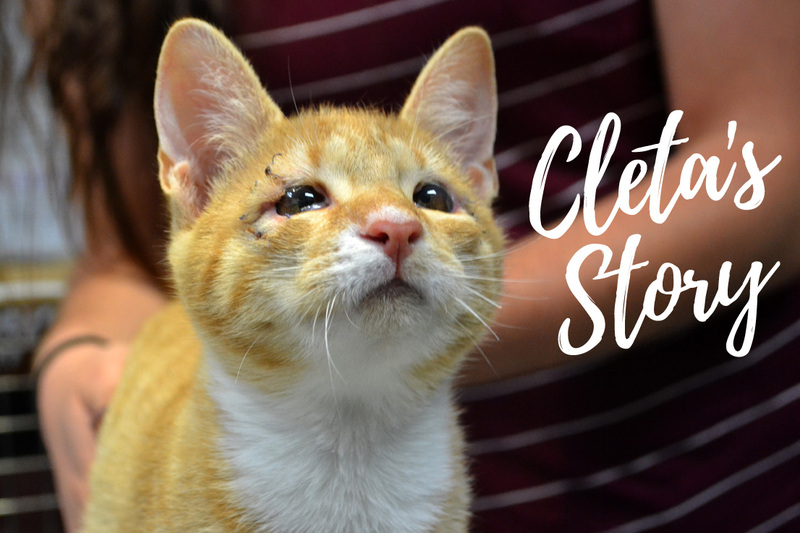 As luck would have it, our veterinarian had recently performed the same surgery on a cat named Darling and knew she could help Cleta, too. Cleta made the 100-mile trek to San Diego, and her surgery was scheduled. 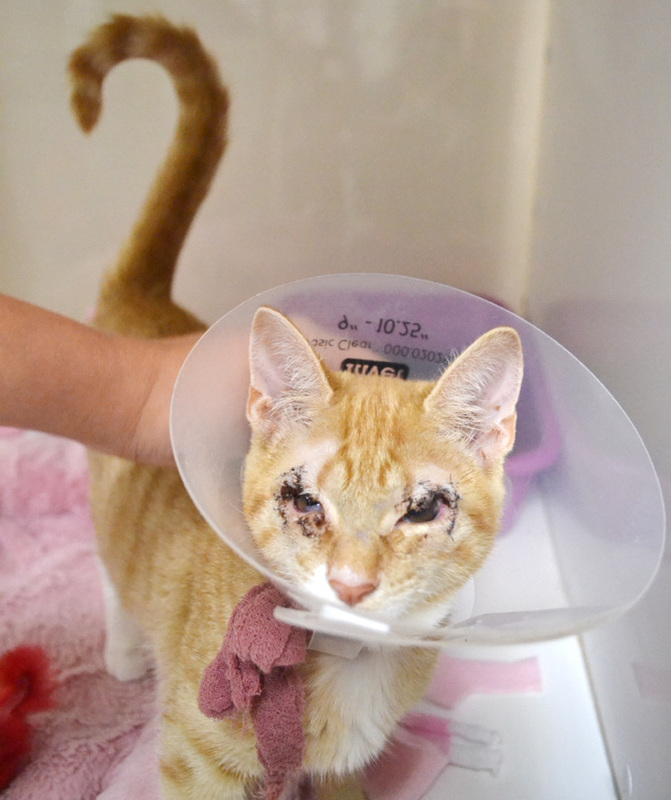 On July 16, our vet went to work creating brand new eyelids for Cleta. (Cleta received her spay surgery at the same time.) After she recovers, Cleta’s eyelids should function like any other cat. Cleta is recovering extremely well. She is currently enjoying life in one of our foster homes and visits the Center once a week for check-ups. (Cleta requires several weeks of observation to make sure that the fur that was shaved for her surgery doesn’t grow back into her eyes.) 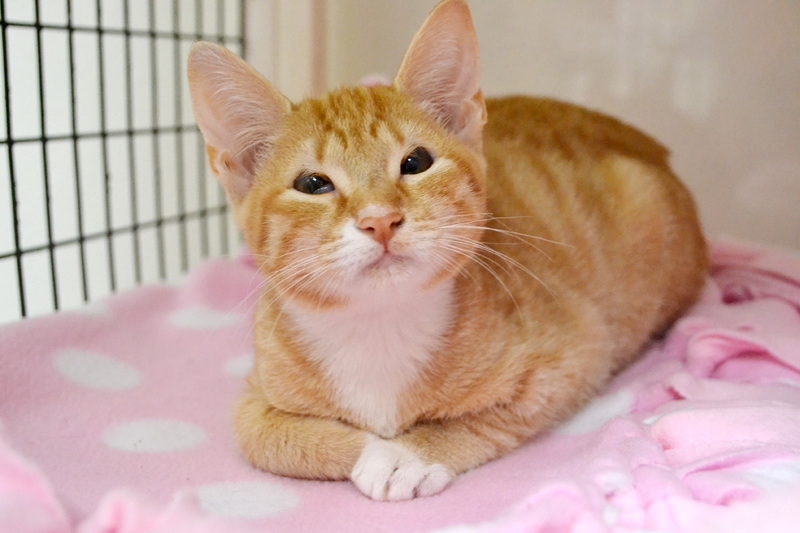 As soon as she gets the “all clear,” this wonderful cat will begin her search for a forever home. After months of recovery, Cleta is now on the search for her forever home! She’s completely pain-free and enjoying all the play-time she couldn’t have before her eye surgery. She can hear the whisper of a feather toy from across the Cattery and is always up for making us laugh. 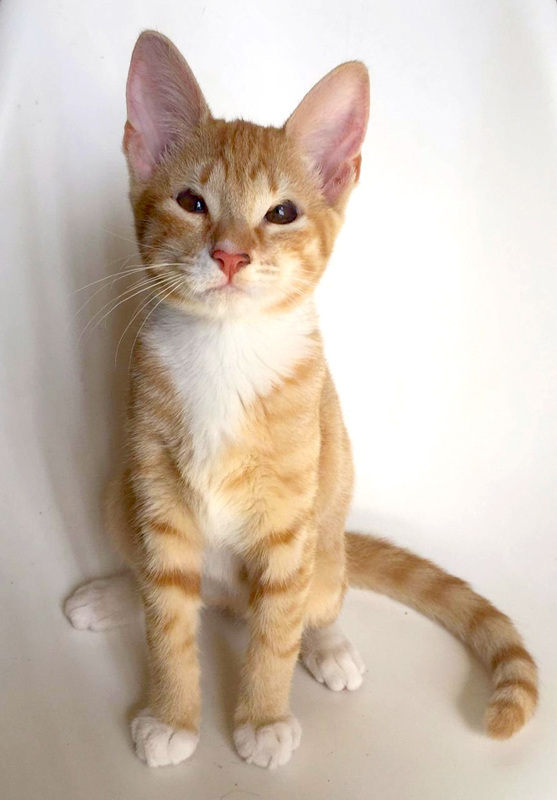 You can find her at our Cat Adoption page, or stop in and meet her today!